MARSHALL COUNTY — One person died in an accident just before 2p.m. Saturday in Marshall County. The Kansas Highway Patrol reported a 1997 Harley Davidson driven by Cameron Dodds, 47, Washington, Kan., was eastbound on K9 one mile west of K99 in Frankfort. The motorcycle traveled across the westbound lane, entered the north ditch and overturned several times. 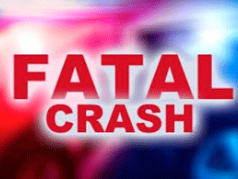 A passenger Diane Thompson, 50, Sterling, NE., was pronounced dead at the scene and transported to Kinsley Mortuary. Dodds was transported Bryan Medical Center West in Lincoln. They were not wearing helmets, according to the KHP.